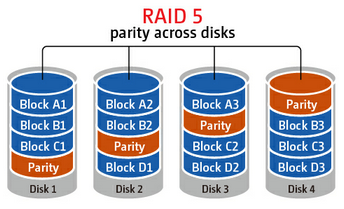 Backing up 6 TB is not an issue unless you modify all 6 TB between each backup, and even then it's really not a big deal. You can stand up 6 TB of network storage for not very much money. Gigaplex, what I'm saying is that it's not very difficult to achieve this. If you have 6 TB of data that's worth backing up, then I assume that data's worth the couple hundred dollars in hardware required to back it up. Once you move into this kind of data storage requirement, obviously cloud backup is going to get expensive, but there are other options. You just have to decide if it's worth backing up, or perhaps a subset of the data is worth backing up.